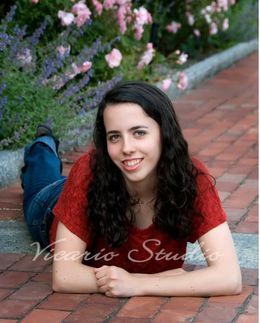 Seniors, hopefully you will be photographed this summer by Vicario Studio. A photograph taken by Vicario Studio is the ONLY acceptable yearbook portrait and ID picture. 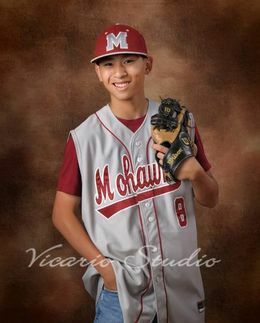 Failure to be photographed by Vicario Studio will mean failure to appear in the yearbook. 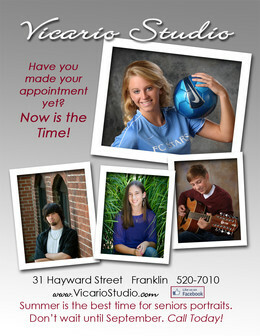 If you have any questions, please call Vicario Studio at 508-520-7010. Students not photographed during the summer will be given the opportunity to be photographed in the fall either in the studio for formal pictures, or one day during the year at Millis High School.